Data is ruling the world, irrespective of the industry it caters to. And the need to utilize this Big Data efficiently data has brought data science and data analytics tools to the forefront. Data science broadly covers statistics, data analytics, data mining, and machine learning for intricately understanding and analyzing ‘Big Data’. Although the three terms are related to each other, in this article, we will study the difference between three i.e. Data Science vs Big Data vs Data Analytics. To understand Data Science vs Big Data vs Data Analytics better, let’s understand the meaning of these terms first! Looking for a growth in your Big Data career? Get certified! Choose the right one from Big Data certifications for you and start your preparation! As per Gartner, “Big data is high-volume, and high-velocity and/or high-variety information assets that demand cost-effective, innovative forms of information processing that enable enhanced insight, decision making, and process automation”. 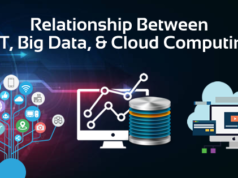 Big Data implies an enormous volume of raw data which a usual application such as a Traditional Database Management System can’t process efficiently. Due to its high volume, the applications can’t store the data within a single computer’s memory. This amount of structured and unstructured data (big data) overwhelms businesses on a regular basis. This data needs to be utilized to analyze business insights in order to take strategic business moves and better decisions. Data Science involves the processing of big data (both structured and unstructured) including the preparation, analysis, cleansing of the data. It also involves programming, mathematics, statistics, problem-solving, capability to view things differently, intuitively capturing data etc. You can say that data science is a broader term for the techniques involved in retrieving insights and information from the data. The science of raw data used to derive meaningful information and conclusions from that existing data is known as data analytics. It constitutes of implementing a mechanical or algorithmic process for extracting insights from existing raw data. Numerous industries utilize this process to enable them to take effective decisions along with verification and disprove old models or theories. Data analytics tools help you speculate the outcomes, depending upon the facts known to the researchers. After understanding data science, data analytics, and big data, it is obvious that they are dealing with the same thing – ‘data’. As it’s essential to work on a huge volume of data, data analytics broadly encompasses the involved processes herein. So, what’s analytics in the simplest of forms? It is nothing but the process of understanding and devising effective patterns for recorded data using mathematics, statistics, machine learning techniques, and predictive modelling. In the next section, we’ll proceed towards Data Science Vs Big Data Vs Data Analytics considering various factors. Telecommunication companies need big data to gather new subscribers, retain the old ones, as well as spreading their base with existing customers. By combining and analyzing the continuously generated data by the users and systems (machine generated), big data enables you to resolve the related issues within this sector. Understanding customers’ needs are the backbone of any business, be it an online e-retailer or a mediocre store across the street. The capability of analyzing diverse sources of data that businesses handle on a daily basis is what big data stands for. 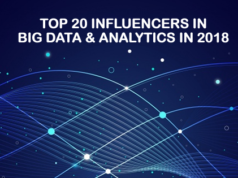 Be it customer transaction data, weblogs, data from store-branded credit cards, loyalty program data, or social media, big data is mighty enough to take charge of it. With the wide adoption of Big Data technologies by the industries and the professional, the education domain has not remained untouched with the applications of big data. As the big data professionals are in demand these days, similarly, the big data expert trainers are also in the huge demand. It is the application area of Big Data where the individuals can make a bright career by yielding big data professionals for the businesses, companies, and industries. So, the Big Data has a number of applications in approximate all the industries, areas, and domains. Whether you are thinking to build a big data career as a fresher or have some knowledge in Big Data, there are a number of opportunities for you. Validate your big data knowledge with a certification. Here are the best big data certifications that can take your career to the heights. Data Science algorithms hugely benefit the digital marketing world, ranging from the display banners but not limited to digital billboards. Data science drives the CTR rates of digital ads higher in comparison to age-old conventional advertisements. Data Science is the backbone that determines the underlying algorithm behind search engine results. It propels the search engine bots to crawl through the diverse content available on the internet, as soon as you hit the search key on any search engine. The recommender system of data science helps in enhanced user-experience and the ease of looking for a relevant product over the internet. Companies promote a huge range of products and give you suggestions, while you browse the internet or through in-app ads, depending on the demand and relevance, which are influenced by your search history. Image and Speech recognition provides an enhanced user experience to the individuals over the internet. It offers barcode scanning facility in mobile, tag your friends – facility on Facebook, and to perform an image search on google by using a face recognition algorithm. Similarly, speech recognition has made the life of people even easier, one can perform search even when he is not in the mood of typing. It works on the model of speech to text conversion; Cortana, Google Voice, and Siri are examples of speech recognition products. Clinical trials, banks, insurance, and healthcare sectors vastly use data analytics. Data analytics has a diverse range of functionalities across these sectors including – retail analytics, marketing optimization, risk analytics, digital analytics, security analytics, software analytics, portfolio analytics, fraud analytics, etc. Data Analysis enables gaming companies to get an insight of your likes, dislikes, and relationships by gathering data for spending and optimizing it in and across the games. Data Analytics helps companies to influence and optimize your buying habits by analyzing the social media data and mobile or weblog. It helps the companies to get insights into your travel patterns an preferences. Customized packages and offers get sold up-front to you by correlating past sales and further growth in conversion rates. Travel recommendations are also customized through data analytics depending upon your data existing on social media. Data Analytics has been a preferred service for top energy firms as they manage smart-grids, distribute energy, optimize energy, as well as build automation for utility companies. It focuses on monitoring and managing network devices, service outages, and dispatch crews. Utilities are enabled for the integration of data points within the network and help the engineers for efficiently monitoring the network. As optimum care with improved quality treatment to the patients is the focus of the healthcare industry, the cost factor builds enormous pressure on the hospitals. Data analytics helps them track the data related to machine and instrument use along with optimizing the inflow of patients, treatment, and use of amenities (equipment). It is estimated that the global healthcare industry can become 1% more efficient and save beyond the expectations. There is nothing to stress about while choosing a career in data science, big data, or data analytics. Go through the following sections to know the differences between – data science vs big data vs data analytics related career options and desired skills and decide what is best for you. A clear understanding of SQL database/programming (to execute complex queries), even if Hadoop and NoSQL dominate the data science segment. Hadoop platform understanding, though, it’s not mandatory. Pig or Hive experience is the icing on the cake. Preferably deep knowledge of R and/or SAS is required, especially R.
Programming knowledge of Python is essential along with C/C++, Perl, and Java. Knowledge of handling unstructured data such as social media, audio, or videos as well. Good academic background, preferably a technology related degree. Creativity to devise new ways of gathering, analyzing, and interpreting a strategy for data. Analytical skills to understand big data and pick the relevant ones to fix a given problem. Understanding of algorithms and computing to process data and get better insights into big data. Business skills to understand the business goals and objectives along with the backend processes responsible for the growth and profit in business. Statistical and mathematical skill sets for ‘number crunching’ and generating better outcomes. Thorough knowledge of mathematics and statistics to analyze the data. Programming skills in Python and R are essential. Data visualization and communication skills. Data wrangling skills for better raw data mapping and make it consumption ready. Intuitive data analysis to understand the data at hand. Data Science, Big Data, and Data Analytics all the fields are emerging continually with the newest trends. 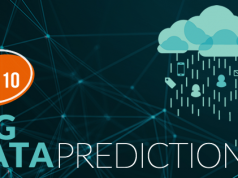 Let’s discuss the upcoming trends in data science vs big data vs data analytics. The most trending things in Big data are Talking Robots (used for the live support systems – taking orders through texts or replies to your transactional queries), Accurate Product Searching (better shopping experience in e-commerce sites by accessing user data and offer best results), Internet of Things (IoT) (connecting and automating the world around you to reach a whopping $6 trillion expenditure with smart networks and responsive devices), and Artificial Intelligence (less hardware and more sophisticated clouds, to dominate major projects). Data analytics with machine learning skills is highly in demand. Visualization models, Predictive Analytics, Data Lakes, Data Curating Ability to connect data consumers (using Tableau and Python they solve data related questions) and data engineers (using Spark, Hive, and MapReduce – they move and transform data from system to system), Data Governance strategies, and Meta Data Management are the top industry trends in Data Analytics. The topmost trends in Data Science include Smart Apps (powered by AI to manage huge ERPs), Artificial Intelligence (AI), Intelligent Things (semi-robotics smart gadgets to make life simpler), Edge Computing (enhancing IoT by bringing content collection, information processing, and delivery close to the information source), Digital Twins (connecting humans with sensors to improve mechanized asset management), Security for secure digital businesses, Blockchain (to establish transactions among un-trusted parties – finance, healthcare sector), Augmented Reality (AR – human-machine interaction for a better world), Intelligent Platforms (APIs fed event model-based systems), and Event Driven Techs (event-driven businesses). Speaking of data analytics tools you can learn any desired analytics tool that suits your specific goal. The most popular analytics tools are SAS, Python, R, Hadoop, Clickview, Tableau, Microsystems etc. Considering data science vs big data vs data analytics, followings are the tools and technologies related to these terms. Hadoop is a Java-based open-source framework responsible for running applications and storing data over clusters of commodity hardware. It also allows expansive storage of the varied range of data, enables handling virtually unlimited concurrent jobs/tasks. It is basically focused to manage financial, operational, and constitutional – big data. Hadoop is one of the most popular, open source big data tools that are highly scalable, has the flexibility to store big data, computes faster, and has the high tolerance against hardware malfunctions to protect data. NoSQL is one the most important Big Data tools, it is used for handling unstructured data as the traditional SQL is used to handle the structured data. The application and scope differentiate NoSQL from SQL, to understand it better read the article on NoSQL vs SQL. NoSQL doesn’t use any particular schema in order to store unstructured data. There are common values in each set of rows. If you want to store a large amount of data, in that case, NoSQL works very effectively. Also, for the analysis of data, there are a number of open source NoSQL databases. Apache Hive is the distributed data management tool for Hadoop. Hive has its own query language, that is much similar to the SQL. The query language of Hive is HiveSQL, generally known as HSQL. Hive Query Language runs on the top of the Hadoop architecture, it is mainly used for the data mining and data management. It is an open source programming language as well as a software environment that facilitates graphics and statistical computing. It is vastly utilized by data miners and statisticians in order to develop statistical software and data analysis. R is broadly used in social media sites, manufacturing, predictive modeling for automotive, data visualization in journalism, finance and banking, drug and food manufacturing, and generating reports in big data. R is mostly used for representing visual data or you can say it is a visual data analytics tool. Tableau Public is an open source data analytics tool that is used to connect data source and creates dashboards, visualizations, maps, etc. with the real-time updates presented on the web. Such data insights created with Tableau can be shared with the client via social media or any other mean. It is found to be the one of the best software used for the visualization and analysis of data when compared to the other data visualization and analysis software available in the market. Apache Spark is a data processing engine that can execute applications in Hadoop clusters at a very speed. The execution speed of Spark is 100 times faster in memory and 10 times faster on disk. Spark is very popular for the development of machine learning models and data pipelines. Also, it makes data analysis an effortless process. MLlib, the Spark Library, provides a number of machine algorithms for repetitive data science techniques. SAS is a software suite, primarily used for data management, business intelligence, advanced analytics, predictive analytics, and multivariate analysis. It has two models to suit the developer community, for people who love programming – Base SAS or Miner, and who are not fond of programming – Visual Analytics. Python is an open-source interpreted, object-oriented, high-level programming language with dynamic semantics. It’s capable of Rapid Application Development and works as a scripting language to connect existing components together, because of the high-level built-in data structures, dynamic binding, and dynamic typing. Broadly being used for finance, automotive, and manufacturing, this tool allows data munging and creates web-based analytics products. Python and R both are the data analysis tools used by the data scientists. If you are confused to choose between Python and R, you can read our previous blog on Python or R – which one should you learn? SQL is one of the most favorite languages of data scientists. SQL is a traditional language that has been used to store and retrieve data for decades and still being used. SQL is mainly used to handle large databases with huge data. Its fast processing time helps to reduce the turnaround time for online requests. If you want to build a career in data science or machine learning, then learning SQL will be an add-on to your skills. Preparing for Big Data interview? Go through these most popular Big Data interview questions that will help you crack the interview. 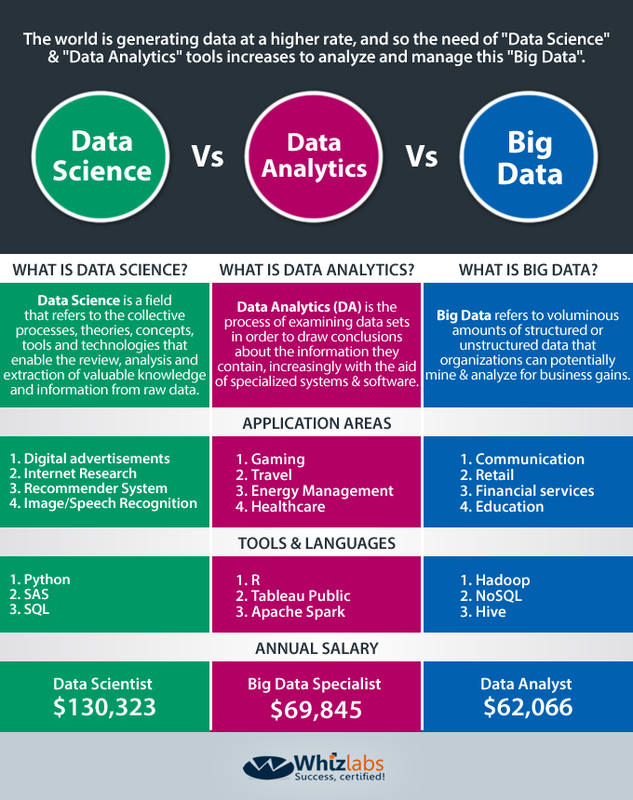 How can we leave salary part while having a comparison between Data Science vs Big Data vs Data Analytics? Being in the same industry these professionals (data scientist, data analyst, and big data specialist) don’t have a uniform salary range. The pay packages for data scientists are higher than that of the data analysts and big data professionals. But the Hadoop is the other name of Big Data, and a report by Allied Market Research suggests that the global Hadoop market will reach $84.6 billion by the end of 2021. This implies that there will be more opportunities for big data professionals in the upcoming years. If we talk about the Big Data job trends, the demand for big data professionals is continuously increasing in India. India alone contributes 12% of the worldwide big data market, and even currently approx 50,000 vacancies are available in India related to Big Data in different business sectors. According to Glassdoor and Indeed.com, the salary of a data scientist is $113,436 and $130,323 respectively per year. 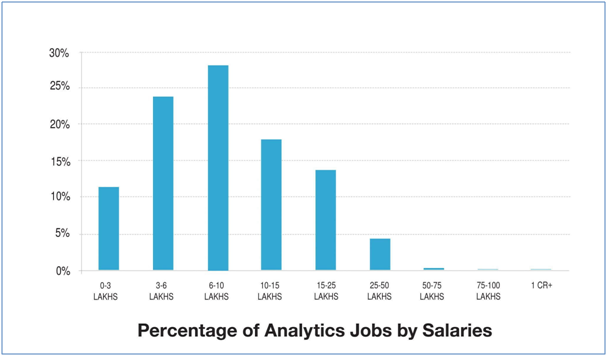 As per Glassdoor, a Big Data specialist earns $69,845 annually whereas a data analyst annually earns $62,066. So, you’ve reached the end! This is all about big data, data science, and data analytics in the form of a simple comparison i.e. Big Data vs Data Science vs Data Analytics. There are some common tools and languages for you whether you are a big data professional, data scientist or data analyst. So, you can start with some of the common skills and then go to the specialization. In this era of competition, it is not enough to gain specialized skills. Besides, you need to validate your skills if you want to demonstrate them. Certification is something that helps you validate the skills, Whizlabs offers some Big Data certifications that are helpful for your big data career. So, start learning and get certified for the bright future! Still have any confusion from Data Science vs Big Data vs Data Analytics? Just write in the comment box or contact us at Whizlabs Helpdesk, we’ll be happy to help you! useful and informative article differentiating and giving insight into All data sciences. It’s true that different areas of big data have different applications. It is important to know the differences so you can use them properly. Well..! The post has given a good viewpoint and little differences between the data science, data analytics and big data also called as Hadoop. The newbie can have clarity of this before learning and starting a career in it.